This post has the mix of SEO tips for beginners, web designer and web developers that works better with web pages, blog or with any open source platform. Proper document structure, Page Heading and sub heading in <H1> followed by <H2>, <H3>, <H4>, <H5>, <H6> and Page content in <P> tags. Ensure main content appears near the top of a page in <body> start. Clean separation of data, styles, java script, client side scripting as external file. Add user Sitemap with all page URL's. Having Header and footer links in text format rather than images and avoid java script for adding links. 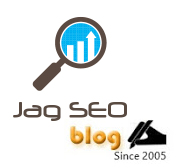 Adding bread crumbs to all pages and it should look like Home (link) >> Services (link) >> SEO. Ensure page conforms to W3C accessibility standards (Additional Value). Click-able text in a hyperlink - Anchor text. Reducing Table structure, especially nested tables. Creating Search engine friendly URL's by removing Id’s and stop characters if it is a CMS site and page URL words can be separated by underscores or hyphens. Creating Meta data setup provision if it is a CMS site by way of adding and editing Title & Meta tags. Custom error 404 page for broken links. Generate dynamic RSS feeds for pages. Competitor analysis for finding out your Competitor business keywords. Adding anchor texts as keywords. Use long tail key phrases that has combination of keywords. Use Google suggest to identify most searched keywords and next most search keywords and so. Have those keywords combinations for promotion. Analyze your Google Analytics for search keywords and promote the keywords that list behind few pages. Find out the ratio of the visit conversion and work accordingly. Configure the site with Google, Yahoo and Bing Webmaster Tools to provide information about your site. * Make use of Google Webmaster tool to find broken links, server crawl ratio and server response and do necessary fixes if any. Make sure your default page is redirected to the domain so that the page rank is not shared for the same content. * Never use any software to help you for SEO. * Adding robots to website, tell the search engines to index your site and which pages they should index. Improving content of existing web pages by adding optimized keywords. Use canonical tag to avoid search engine indexing site duplicate pages. Monitoring search results for optimised pages and improving with inlinks comparison and keywords results. Add robots.txt file to your site root to tell search engine bots what folders to be indexed and what not. Adding links to the identified Search engines, Business directories, yellow page, white pages, classifieds and websites. Press release and News submission. Create a Blog and submit to Blog direcoties related to category. Human edited, local and Regional directory submission. Creating Pod cast and adding to Pod cast directories. Continuous link building to achieve page rank and improve backlinks. Do not add site to paid directories that doesn't follow Google guidelines. Do not submit your new site to 1000 of directories in one fine day. Be moderate and think for long term. Read more - Secrets Behind Link Building & SEO tips for 2012. Configure Google Analytics and work on blog traffic progress. Setup Google Feedburner for your blog and have an option for blog visitors to subscribe for new blog posts. SEO extension in Joomla gives helps you to manage the META and title settings. Search Engine Friendly (SEF) URLs extension creates Search Engine Friendly (SEF) URLs for page categories, sub categories, and any leavel of sub-pages. Simple SEO extension will show how search engines look at your content. Google Sitemap extension is used to generate and integrate Google XML sitemap for good indexing amoung Google and other major search engines. SearchCloud and Lists module creates Cloud or a List of popular search query.